Prior to hitting the Spin button on any online slot, inexperienced players should consider incorporating specific strategies that will help them minimise the risks for their bankrolls and maximise their playtime and potentially, their profits. Many inexperienced players share the false belief that it is quite easy to win at slots because they are the simplest type of game to play. The truth of the matter is that without adequate strategies and proper money management, spinning the reels is the quickest way to lose your money. Especially when we consider the dynamics inherent to the game and the rapid pace at which bets are made. 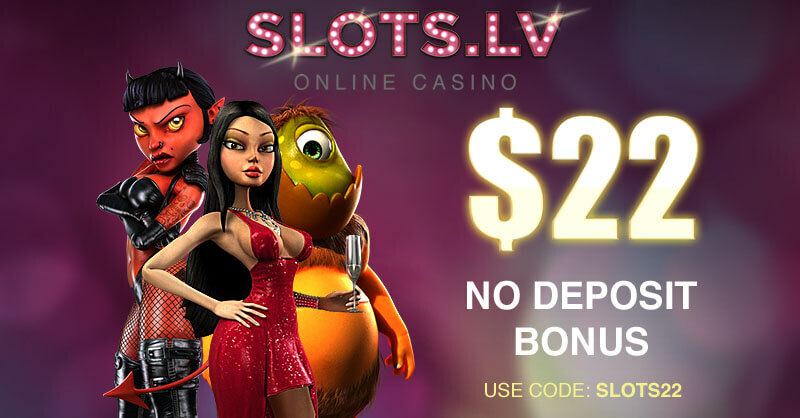 However, there is no reason to turn your back on online slots altogether because they can indeed be profitable. At least, when you make informed decisions in regard to money management and the choice of slots to play. Below, you will find some suitable strategies and advice on playing the online slots that can tip the scales in your favour. Ask any slot fan out there and they will tell you that the most important thing you need to do before you start spinning the reels is determining the size of your bankroll. The size varies from player to player, but what you need to do is decide what sum you are comfortable playing with, and potentially losing. New slot players are recommended to set a fixed amount of money for each betting session on the slots. Players should not only decide on this sum, but stick to it no matter what happens. If you dwindle your bankroll down to nothing, under no circumstances should you resort to using money, reserved for rent, utility bills and food. Also, if you plan on playing the slots several times per month, you can split the fixed bankroll into equal sums, designated for each betting session. Many experienced slot players recommend novices to set up a separate bank account or use a separate credit/debit card, reserved specifically for gambling purposes. On that note, it is also worth mentioning that when you generate profits, it would be wise to set half of the sum aside and add it to your bankroll. Otherwise, you risk losing to the casino what you have initially won. Most online slots have fixed maximum payouts or fixed jackpots, while others have progressive jackpots attached to them, which increase incrementally – the more players join the progressive slot with real-money bets, the faster the pot will accumulate. Yet, prior to placing your bets on a progressive slot, you need to consider the fact that such games typically come with higher volatility or variance, meaning that they offer more substantial payouts, which occur less frequently. Even smaller wins occur less frequently on such slots. Besides, common sense dictates the jackpots would not have reached millions of credits if players were winning them on a regular basis. That is why it would be wiser to settle for games with fixed maximum payouts where the wins, though smaller, occur more frequently. Join the progressive slots only when you are prepared to wager the maximum bet amount to qualify for the huge prize or when you are bent on collecting the life-changing pot. But remember that the odds of hitting the progressive jackpot are pretty much similar to those of winning the lottery. We have already broached the subject of being careful what type of slots you play. In that vein, experienced slot players recommend novices to stick to the so-called “loose” slots. This again has to do with variance which reflects how much and how often players can expect to win. “Loose” slots offer lower variance (and thus, are less volatile aka less risky), which means that players can expect smaller, but more frequent returns. Such slots enable players to generate consistent, though more modest profits and are suitable for those, who engage in casino games for pure entertainment. “Tight” slots are exactly the opposite of their “loose” cousins, which is why players should bet on them only when they have a larger bankroll to carry them through the losing spins until they hit a lucrative winning combination and recoup their losses. One simple way to distinguish which slots are loose and which ones are tight is by opening their paytables. First of all, the payout percentages are listed there on some occasions. Then again, the paytable provides information as to the maximum payouts that can be won in the game. The higher the maximum payout that is listed in the paytable, the lower the chances of players winning it are because lucrative payouts typically occur less frequently than smaller wins. One of the biggest slot myths is that playing at landbased casinos, where players are required to pull a lever to spin the reels, is likely to result in more wins than playing the machines where a button is pushed to set the reels in motion. Of course, this is not true since whether you click a button or pull a lever does not affect your chances of winning. Either way, the outcome of the spins is determined by a Random Number Generator. However, a lever-based machine might minimise players’ losses for the simple reason it slows down their play a tiny notch. For instance, you might be able to hit the Spin button 500 times per hour, but if you play in a brick-and-mortar casino, you will be able to pull the lever fewer times, 450 for example. While the difference is negligible, if you play at a slower pace, you will still end up losing less money. Because of this, it is always a good idea to take your time when you are playing online slots from the comfort of your home and slow the pace down a little bit. If you spin the reels 200 times per hour, you will obviously lose only half the money you would have lost, had you clicked the Spin button 400 times per hour. Besides playing slowly would extend your gaming session and enable you to enjoy your favourite slots longer with the same amount of money. It goes without saying you should steer clear of activating the Autoplay feature, available at most advanced online slots. Or if you do want to use it, adjust the settings so that Autoplay gets deactivated after you have lost a specific amount of money. If you fail to do this, you can say “goodbye” to your bankroll in two minutes or so. It is always a good idea to set a limit for one’s self. When it comes to slots, players are recommended to set both a win and a loss limit for themselves. The latter would prevent you from exhausting your bankroll completely, while the former would help protect the profits you have generated and prevent you from losing what you have initially won to the house. If your winnings amount to 50% of your starting bankroll, you can call it quits and rejoice at generating such a great profit. Besides, the time you spend playing the online slots also matters. The longer you play, the bigger advantage the house will gain over you. That is why experienced slot players often recommend that a betting session on this particular type of game should not exceed two hours in length. Which is not say you should incessantly hit the Spin button for two hours on end. You can take short breaks every once in a while. Remember, there is nothing you can do to beat the house edge as the casino will always win in the long run, thanks to the built-in advantage of the games it offers. The same applies to both landbased and online gambling providers. That is why, players are advised to always check the payout percentages of their preferred slots in advance as this might also serve as an indication whether a slot is loose or tight. In addition, you can calculate the house edge of a given slot just by taking a quick look at its payout percentage. The calculation is quite simple, actually. If a slot has a payout percentage of 97.80%, this would mean out of every £100 players have wagered on this game, they can expect to have a return of £97.80. To calculate the house edge, you simply need to subtract the payout percentage from the number 100. In this example, the house edge for the slot will be 2.20%. Bear in mind, however, that these percentages while accurate, reflect the players’ expected return over extended periods of time and thousands of spins. You cannot expect to generate £97.80 in profits each and every time you play, let alone in a short period of time. Nevertheless, it is always a good idea to choose slots which have a higher payout percentage and a lower house edge. Your win frequency will be greater on a slot with 97.80% payout percentage than on a game with am RTP of 88.00%. Most online casinos reward patrons for their loyalty by granting them various bonuses. That is why players are recommended to register a real-money account at the online casinos that offer the most lucrative Welcome and Reload bonuses. This way, you will be able to test the games by playing with free casino credits and decide which slots are less volatile and most suitable for you without actually risking any of your own money. Also, all reputable online casino operators award their players Free Spins on selected slots, such as the popular Starburst slot for instance. The number of the bonus spins vary from one casino to another, but it is always a good idea to check the promotional section once in a while to keep track of the hottest slot offers. Another way to boost your bankroll is by converting the Comp Points you are granted on each real-money wager into bonus credits to play with. 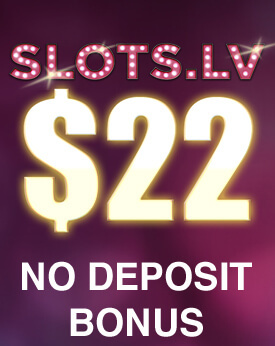 Those, who are new to online casinos should keep in mind there are wagering requirements that are attached to bonus offers like the ones listed above. These requirements need to be met before the winnings you have accrued with the bonus credits become withdrawable. Players can also check the said requirements prior to registering at a given online casino and make comparisons. This way, they will be able to sign up with an account at an online casino which has lower wagering requirements. Choosing a legitimate online casino operator should be the number one priority of all casino players and not just of slot fans. Legitimate casino operators are easy to spot. They stand out with great transparency and openly publish the numbers of their licenses as well as the names of the regulatory bodies that have issued the said licenses. So, if you happen to come across an online casino that bears the stamp of approval of the UK Gambling Commission, for example, you can rest assured it is fully legitimate and fair. What is more, legitimate casino operators typically publish the payout percentages of all games, available on their catalogues. The games are audited on a regular basis by independent, third-party testing agencies, the likes of eCOGRA, to ensure the games are not rigged and everything is fair and square.